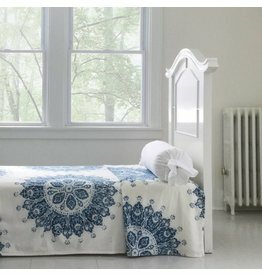 A cool cover in warm weather, an interesting layer for chillier months, the summer bed cover is a single layer of Les Indiennes' regular weight fabric. 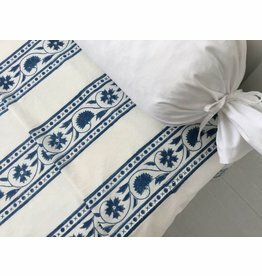 Made from pure organic cotton and natural dyes. 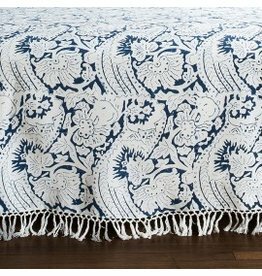 Les Indiennes fringe bed throws are organic made from hand-loomed fabric and edged with hand-knotted fringe. Available in Indigo and Chocolate. 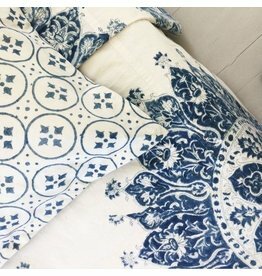 Wrap yourself up in comfort with this "Adele" Summer bed cover! 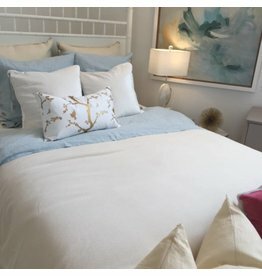 A cool cover in warm weather, an interesting layer for chillier months, the summer bed cover is a single layer of our regular weight fabric. This blanket is lightweight and incredibly soft! 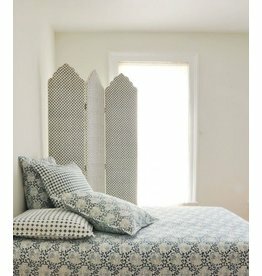 It is made of US Grown Organic Cotton.....The textured fabric is certified organic cotton in a square weave. Great for children too! 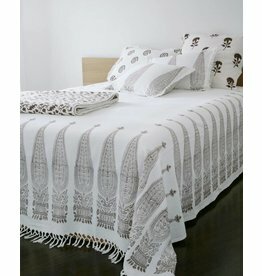 Moroccan handwoven throw/bed cover with large stripes and large pom poms.100% Cotton. 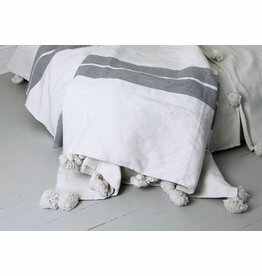 Kesh bed cover, wide stripe in white/grey with Pom poms 79" x 95"
This "Lisette" throw will make your bedroom more elegant! 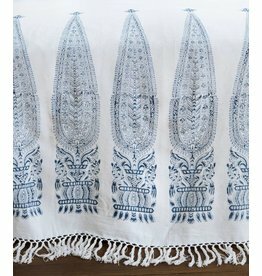 Les Indiennes fringe bed throws are made from hand-loomed organic cotton and edged with hand-knotted fringe.